Baby alpaca handknit blankets, with detailed edges and in luxurious baby alpaca for baby shower gifts, newborn gifts, and great christmas handknit gifts. 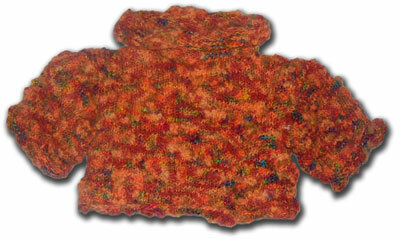 Childrens handknit sweaters in a variety of fibers and styles. Pullovers, cardigans, in unique and unusual yarns and designs. Kids sweater Kids sweaters in a variety of styles, shapes and fiber. All of fabsweaters sweaters for kids sweaters are handknit, and handmade. They are luxurious, deluxe kids sweaters, full of style and functional. Warm and cozy, yet roomy and comfortable, these sweaters go from soccer games to fancy parties without blinking. Fabsweaters handknits for kids. One of a kind - One at a time! 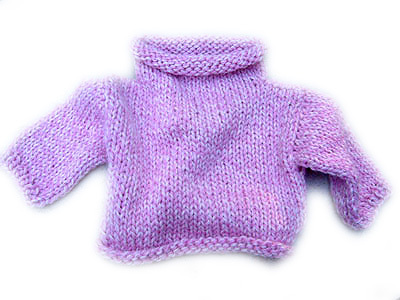 handknit baby sweaters for infants, toddlers and kids ages 3-5. Wonderful handknit baby sweater sets, with matching hats, booties and blankets as well. In gorgeous alpaca, our baby gifts are what get the ooh's at a baby shower or baby homecoming! The perfect baby present, a gift of a fabsweater. superfine handknit baby sweaters in candy stripe colors are beautiful and soft next to a newborn baby's skin. In three colors, this hand knit sweater makes an incredible gift at a shower or birthday party. If you're looking for unique handknit toddler sweaters in a variety of yarns and styles. From 0 -3 years. We have great kids sweaters, too. 3T to 5years, these are great for bus rides and stroller naps. Completely handknit, these make great birthday gifts. Our handknits for newborns, in select fibers (the softest, of course) come in sets as wello as being unique sweaters all on their own. Great gifts for new moms, or great when you want to make an impression with a totally unique baby shower gift, these handknit newborn sweaters, and sweater and hat sets, are made completely by hand, handknit. 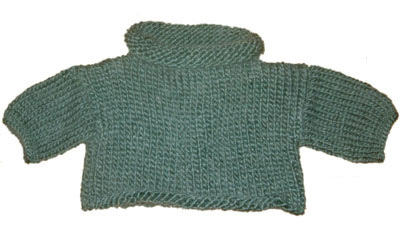 Alpaca baby sweater, made of Peruvian Alpaca, in a Boucle, in five colors. This sweater comes sized for newborns to 5 years. It's especially great for the newborn gift, with a matching cap, because it is so warm, and it breathes. No overheating. Makes a great baby shower gift. Unique Gift sets are available too! A silky, solid Mohair Blend yarn in solid colors that have an incredible sheen and dimensionality because of a very definitive twist. In three gorgeous colors, this is a very soft, heavy, and cuddly yarn. luxury Gift sets are available too! One of our most unusual yarns, this is a chunky, bumpy Mohair yarn Blend that is in three incredible colorways. a completely unique baby shower gift, or a great birthday gift for a toddler, these sweater sets come with a matching sweater and hat, a gift card, and wrapped in your choice of amazing gift wrap. Sweater sets that include our unique handknit baby sweaters, handknit toddler sweaters, or sweater set with a matching (or contrast!) hat. This set comes in two fibers, our Snuggle Merino Wool, and our blankie Mohair twist. Our amazing baby sweaters and sweater and hat sets make incredible gifts for baby showers, or as a welcome present for a new mom. These come beautifully gift wrapped with a Welcome card in the babies name, and either Purple or Lime green wrapping. Hand knit Baby Hats, Hand Knit Toddler Hats, Hand Knit Infant Hats & Hand knit Kids hats in a variety of luxury fibers. 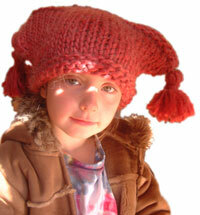 Our wonderful hats come in any of our fibers and styles, in infant, toddler and kids sizes. All of our sweaters have gift wrap as an option. In a choice of purple and/or aqua and lime, our sweaters come with a wonderful gift card, a cedar sachet for storage, and a lifetime repair offer.